Nothing brings people together quite like the holiday season, and good, hearty feastive food. Whether you are visiting family or hosting visitors at your own home, there are a few essential recipes to keep handy. 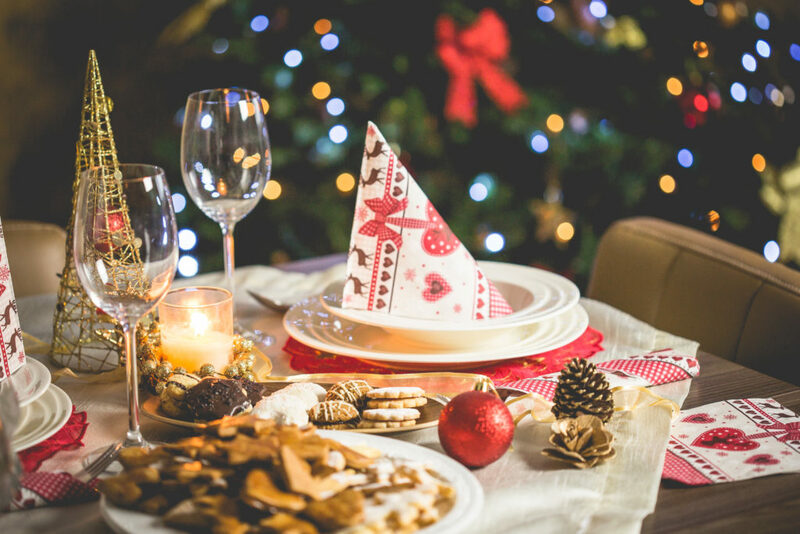 These Christmas traditions will not only awe your loved ones but will also provide the perfect holiday indulgence to keep you happy and satisfied. Let’s get festive! It’s our favourite time of the year again, and what better way to celebrate the festive season than to indulge in traditional, easy-to-bake mince pies? Christmas wouldn’t be the same without them. Follow this simple 6-step method and allow every scrumptious mouthful to take you on a nostalgic trip back to your childhood! First thing’s first, preheat your oven to 180 degrees Celsius. Rub butter into your flour. Add the golden caster sugar and sprinkle in your pinch of salt. This will be your pastry dough. Combine the dough into a ball until it is fairly firm. Your dough must chill for at least 20 minutes, or you can use it the next day. Grease two 12-hole patty tins to ensure your pastry doesn’t stick. Press walnut-sized balls of dough into each of the holes and press up the sides of the patty tins. Fill each pocket of pastry dough with a suitable amount of mincemeat to make up the pies. Roll out remaining dough on a clean surface lightly dusted with flour. Cut out lids to cover the pies using a pastry cutter. Top the pies with their lids and press them down around the edges to seal them closed. Finally, place your pies in the oven for 20 minutes, and bake until they appear golden. To make your pies look just like grandma’s, lightly dust them with icing sugar. We all know that no Christmas meal is complete without fluffy-centered crispy potatoes, roasted to perfection! We also know that the kitchen is havoc during this time of the year, so, we’ve got our hands on a top-secret, easy to make recipe, for the PERFECT roast potatoes that will have you in and out of the kitchen in a blitz. Find a roasting tin that’ll fit all of your potatoes in a single layer. Remove the potato skins and dice the potatoes into 4 individual pieces. Place your potatoes in a large pan with just enough water to cover them, add a pinch of salt and wait for the water to reach boiling point. Lower your potatoes to a simmer until tender, uncovered. Grease your roasting pan with 100ml of olive oil and leave it in the oven to get nice and hot. Drain the water from your potatoes using a colander. Shake the colander around a bit to fluff up the outsides of the potatoes. Throw some flour on them and then continue to shake until each potato is thinly coated. Place the potatoes on the tray, and roll them around until they are completely coated in the olive oil. Allow your potatoes to roast for 15 minutes, then remove them from the oven and turn them over. Place them back in the oven for another 10-20 minutes, until they are super golden and crispy. Sprinkle them with salt and serve them immediately. ‘Tis the season to eat pudding! Whether it’s Christmas lunch, dinner, or even a festive midnight snack. This warm Christmas pud is too easy not to make! and 1 cup of mixed nuts to a mixing bowl, along with all of the spices. Stir in the milk and egg. Once all of the above is well combined, pour into a greased 1.5-litre pudding bowl. Cover the pudding with a double layer of buttered foil, leave a pleat in the centre of the foil to allow space for the pudding to rise. Secure the foil by tying it with some string. Find a pan that is large enough to hold your mixing bowl, and fill it with simmering water. Place your bowl of mixture inside of the bigger pan. Ensure there is enough water by checking that the water goes halfway up the sides of the mixing bowl. Cover with a lid and allow it to steam for about 2 and a half hours. If you’re preparing this pudding ahead of time, you should remove the foil and allow the mixture to cool for a bit, and then re-wrap it in some cling wrap and fresh foil. Alternatively, you can unwrap it and place it in a shallow dish, ready to serve. To top off the pudding you’ll need to make some sauce. Place all the ingredients for the sauce into a pan and bring it to the boil, whilst stirring. Let the mixture bubble for a good 2-3 minutes until the sugar has dissolved. The sauce is ready when it has become a pale caramel colour and has thickened. Remove the sauce from the heat and pour it over the pudding. Decorate it with nuts, and voila! There is nothing that compares to the special moments spent around the dinner table during this joyful time of the year, for many families, this is the only time they have together. 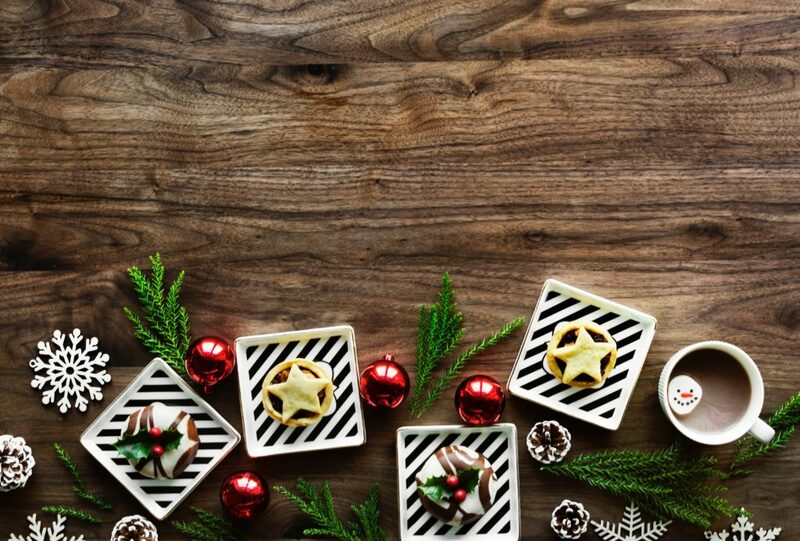 Treasure these festive occasions and showcase your incredible kitchen skills with these simple recipes that will have everyone wanting a second (or even a third) helping. After all, the one thing we can all rely on during the festive season is good food! If you can ‘wow’ the world with your passion for food preparation, get in touch with us, we can get you on the path to a wonderful career!